Dana and I have been working hard to extend our product line beyond event and personal stationery for a while now, and we are excited to announce the launch of two limited edition print series in our Etsy Shop! With Valentine’s Day in mind, the first set features three designs with quotes from a reading Dana read at my wedding this past fall. Written by Wilfred Arlan Peterson in 1962, The Art of Marriage is an essay widely adapted and read at weddings and commitment ceremonies all over the world. You can read part of it online here. It offers timeless advice and features countless messages that speak to the success of any good relationship, romantic or otherwise. 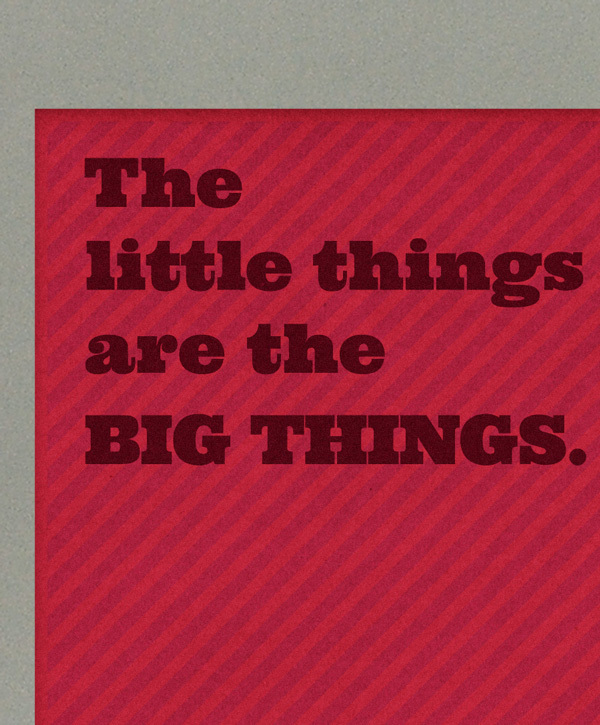 We selected three of our favorite moments as quotes and screen printed them with white ink on Paver Red, Insulation Pink and Electric Red cardstock by French Paper Company. 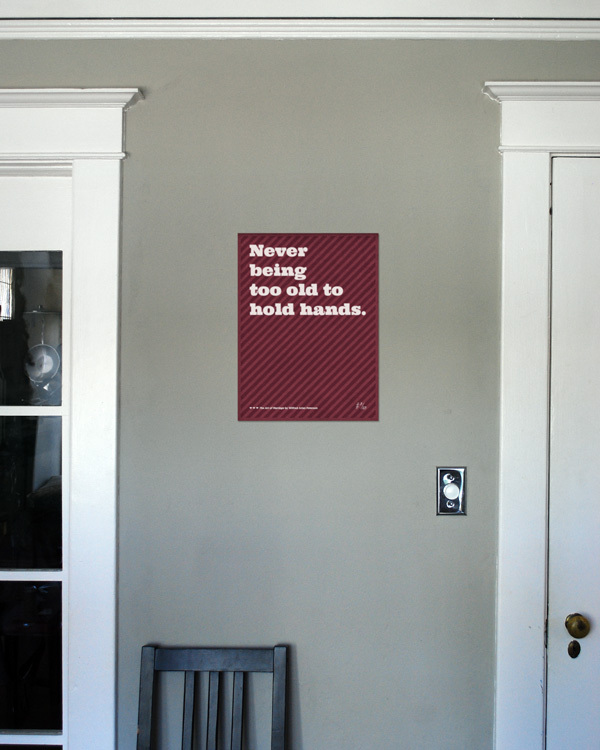 My personal favorite, “Hold Hands”Our signature diagonal lines are flat printed beneath the words to add depth and cuteness. These original designs are first-run prints from a limited edition run of 40, and are each hand-numbered in the lower right corner.